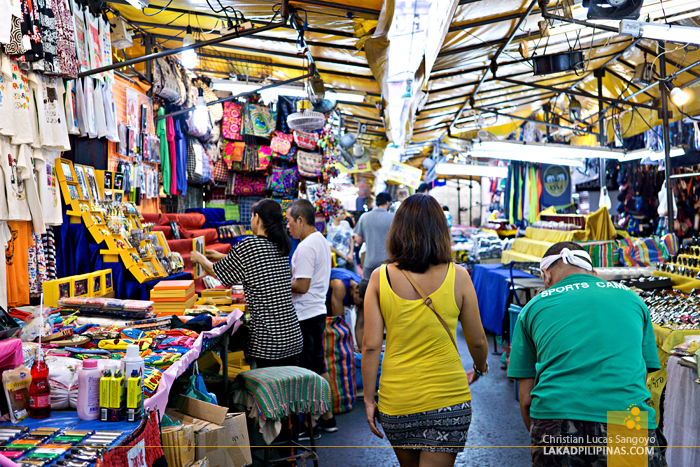 One of the reasons why people visit Bangkok, besides its graceful temples, is its numerous shopping districts. During our previous trips to the city, we’ve visited a few of these. And as always, during these shopping outbursts, we go home with fewer bahts in our pockets but with numerous shopping bags in our hands. 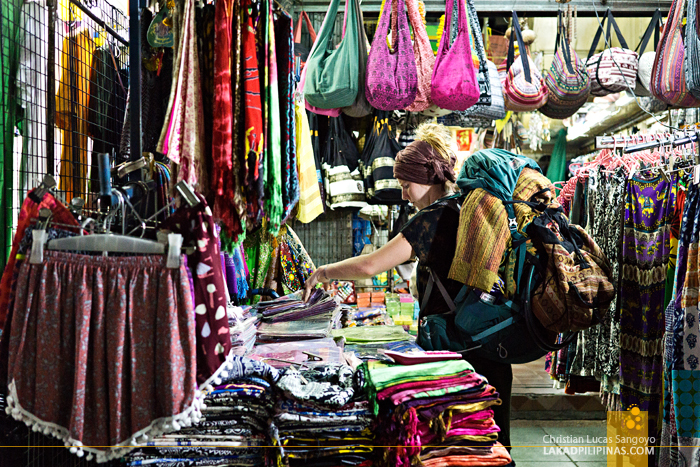 The things being sold on these outdoor markets range from household things, to fashion accessories, shirts, elephant pants, dresses, bags, toys—legit and bootleg ones, souvenir stuff, figurines, antiques, collectible what-nots and basically everything you can think of. 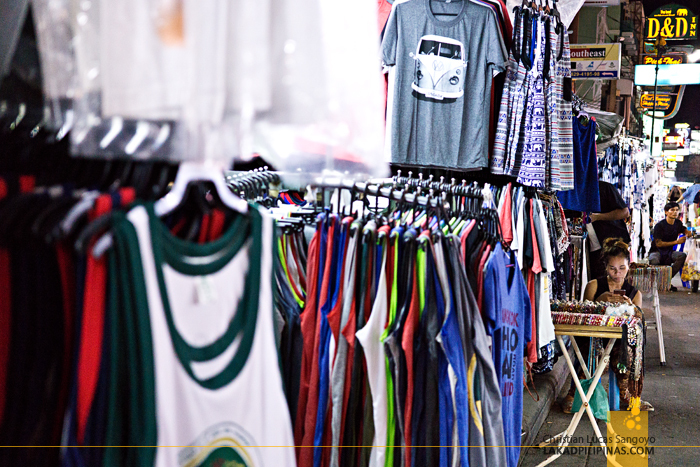 Me, I go here for the shirts—Bangkok has the coolest selection of printed tees that I can’t seem to find elsewhere! And the prices, you might ask? Rock-bottom cheap! 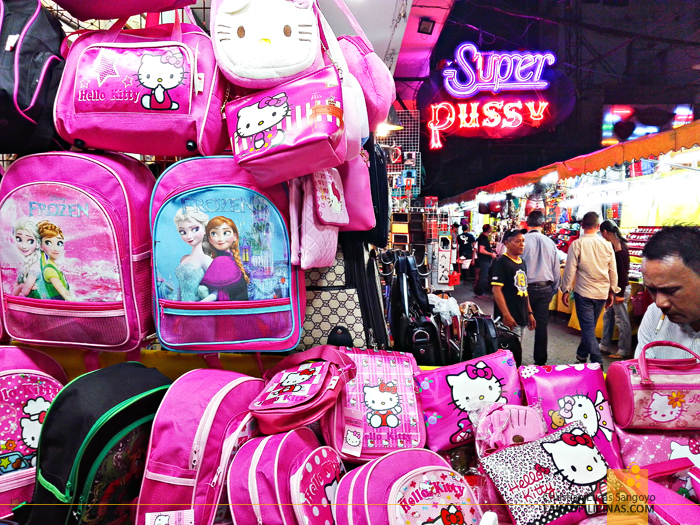 No wonder wholesalers go all the way to Bangkok just to buy wares to sell back home. 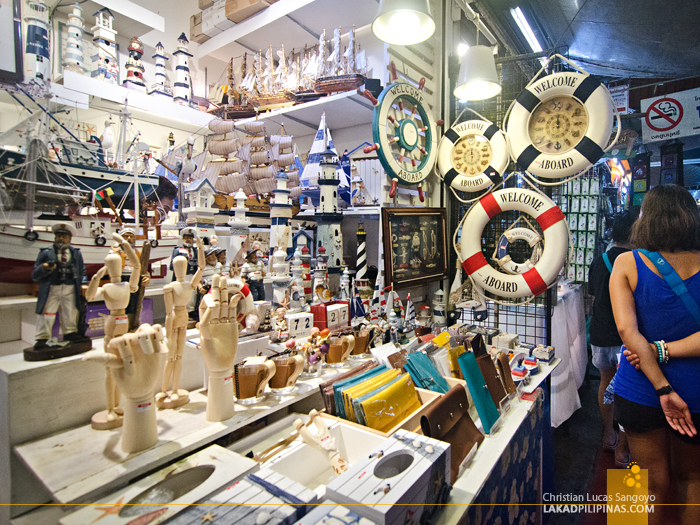 For tourists, this is, of course, the best places to go for souvenir and pasalubong shopping to bring back home to your friends and families. 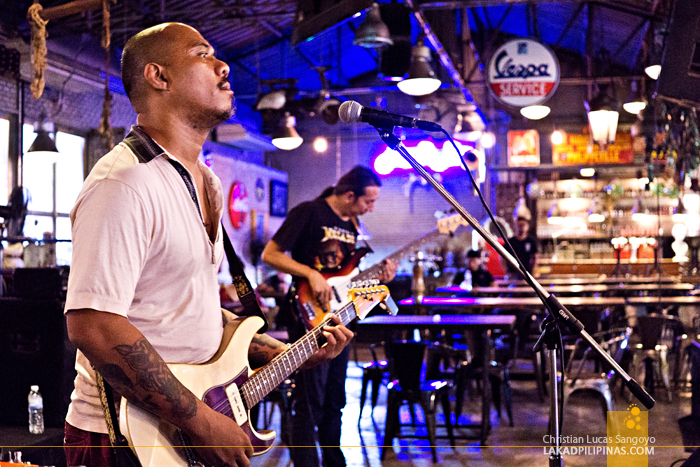 Contrary to its reputation, Khao San Road isn’t just all about drinking and partying. 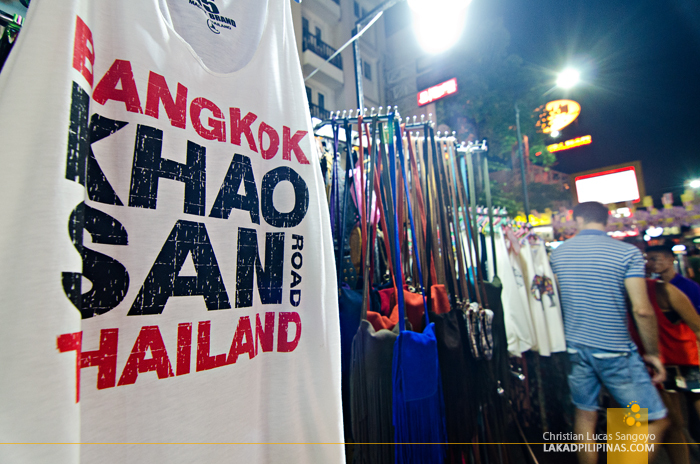 Indeed, the infamous road is lined with all sorts of bars, outdoor seats for drinking, and backpacker hostels, but along with these, interspersed with pad thai vendors, are makeshift stalls selling shirts, beer singlets, pants, bags, and all sorts of accessories most travelers can’t do without; think bohemian stuff like flag patches and handmade bracelets. 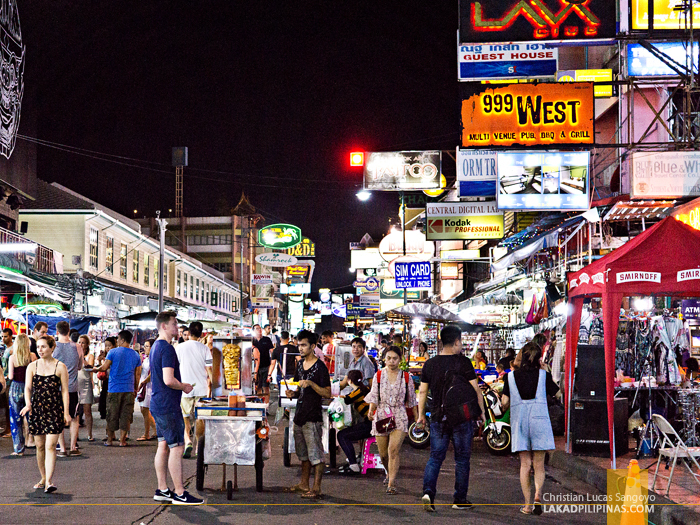 And surprisingly, even with its very touristy vibe, the area has one of the cheapest prices when it comes to night markets! 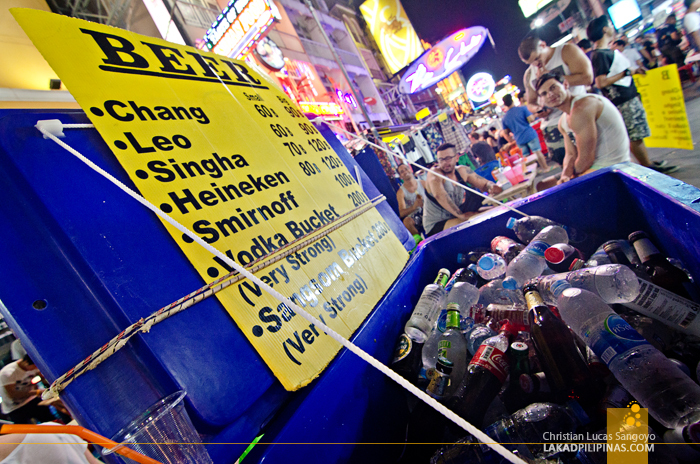 When people mention Patpong Road, the first thing that comes to people’s minds are its ping pong shows. 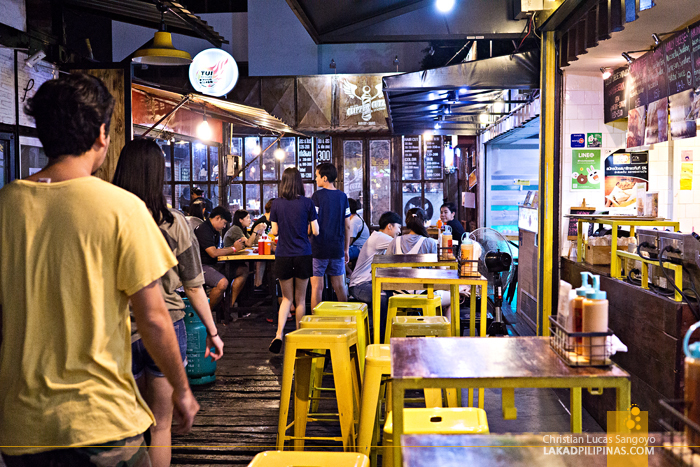 Well, indeed, there are girly bars and hidden ping pong shows along Patpong, but the area can also be a haven for night shoppers. During the day, vehicles can actually pass along the road, the whole area closing to motorized traffic around the late afternoons. Stalls are put up from scratch every evening, taking up the whole street. 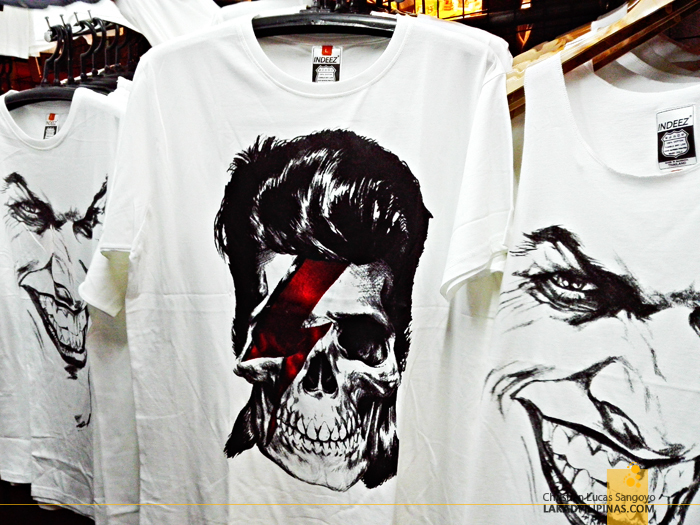 Patpong’s night market mostly hawks tourist souvenirs, but there’s this one shirt vendor I kept going back to in the area (his stand is a street away from Patpong proper), who sells movie-inspired printed shirts that I haven’t seen anywhere else. 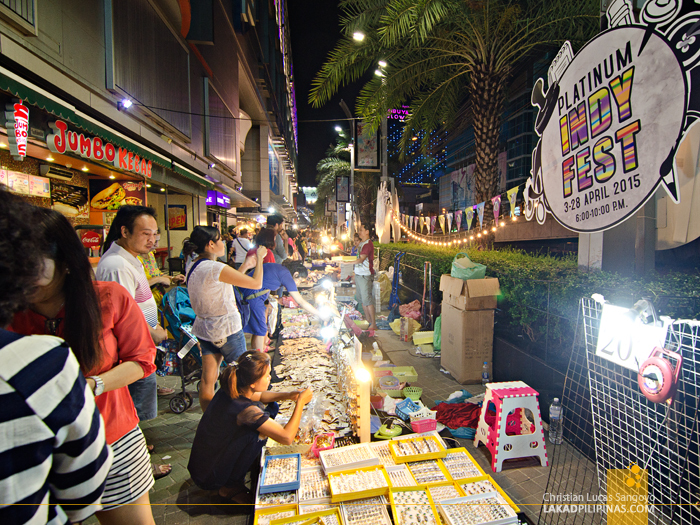 We actually just chanced upon this small night market right outside Platinum Fashion Mall in Pratunam. Dubbed as the Platinum Indy Fest, it was a temporary one the first time we saw it. 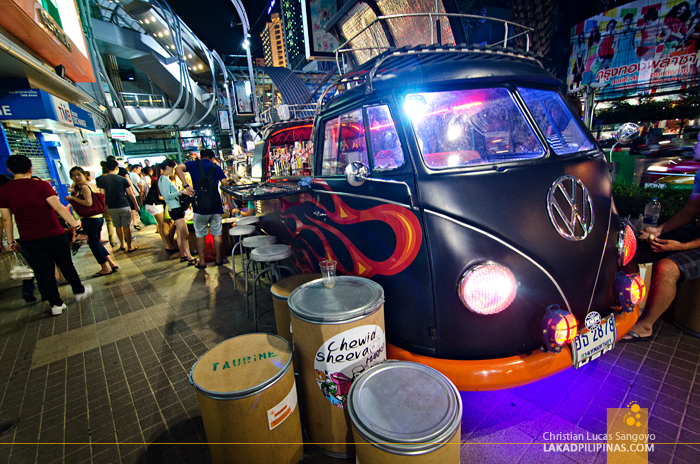 But, I guess, it’s now a regular on Bangkok’s night market scene, having seen it open every time we pass by the area. Like its root, most of the sellers here are indie types, with most of their wares handmade. 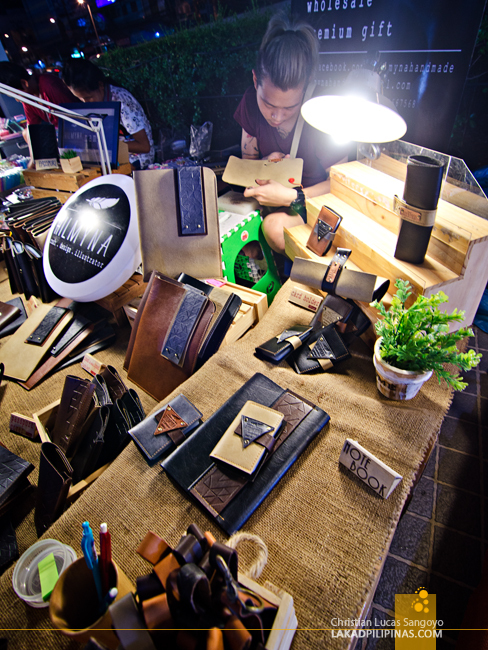 This is probably the smallest night market in Bangkok, but they have the cutest and most creative stuff I’ve seen. 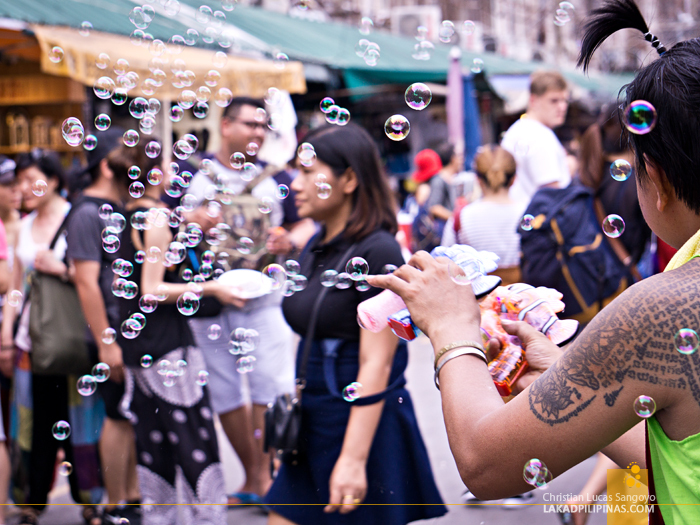 And if you feel like shopping for more, there’s the Platinum Mall just beside it and the sprawling Pratunam Market a few hops away. 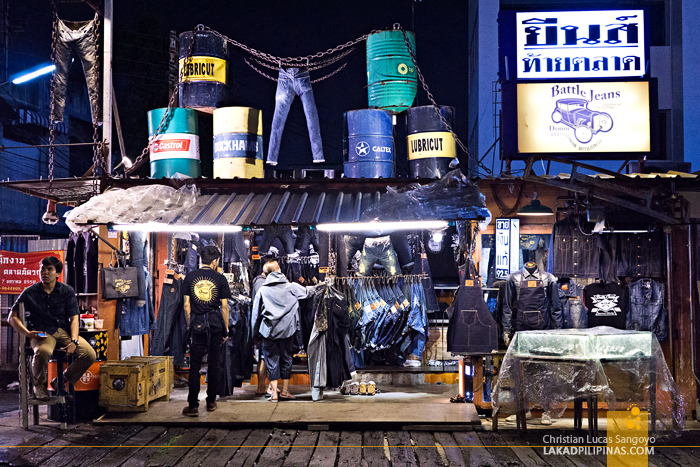 Looking for something new, we searched the interweb for out-of-the-ordinary night markets in Bangkok. 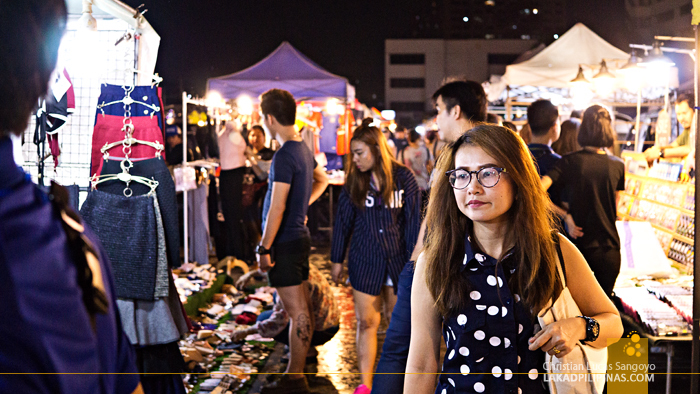 The Rod Fai Night Market kept coming up. 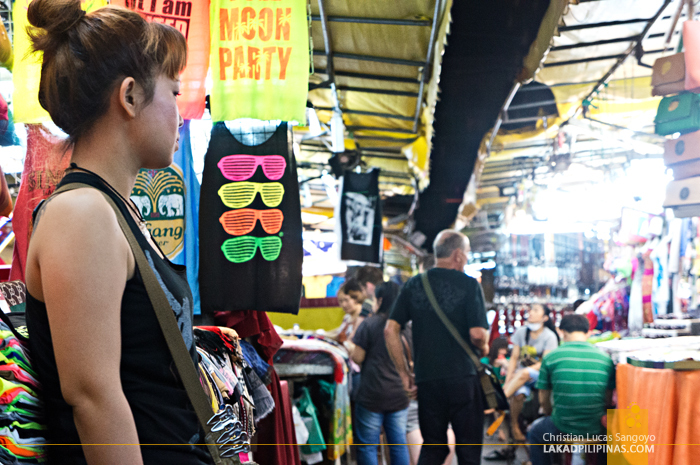 We’re Bangkok regulars but we haven’t heard of this market before! So off we went one night, and indeed, it’s on a not too familiar location in the city. The market is set on an open lot. Same with most night markets, the makeshift stalls are put up late in the afternoon, to be dismantled again as the evening ends. 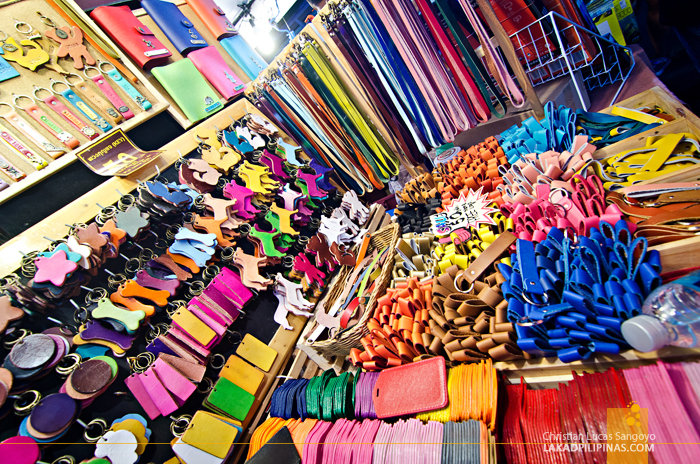 The stuff being sold on these stalls are more unique than its counterparts, but the prices are still very affordable! There are also boutique shops lining the perimeter of the lot, and here’s where it gets interesting. These shops sell really funky and unique things! From shirts to toys and whatnots. Just be prepared to open your wallet up, it is expensive. 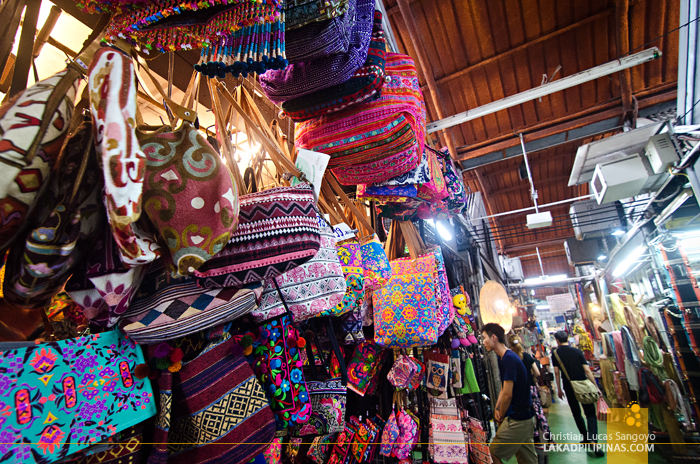 The most famous market in Bangkok only opens thrice a week, the Chatuchak Weekend Market. 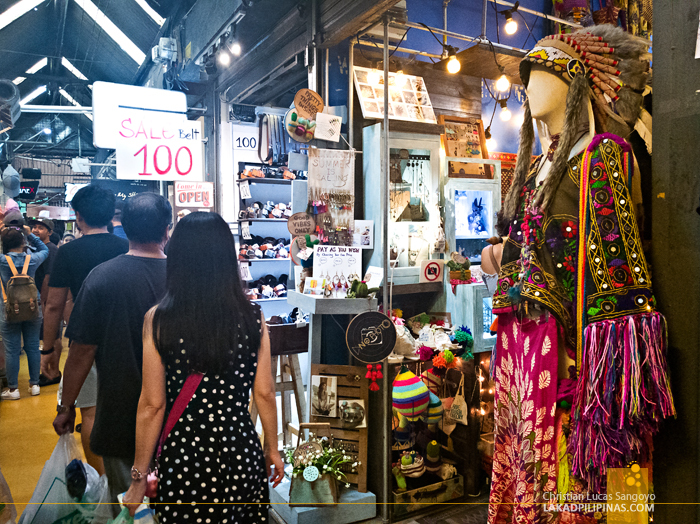 It was only during our last visit to Bangkok that we were able to visit Chatuchak since it was the only time we visited on a weekend. Excited, we went early to the market, and it’s quite a ways away from the center! It’s actually almost en route to the airport! 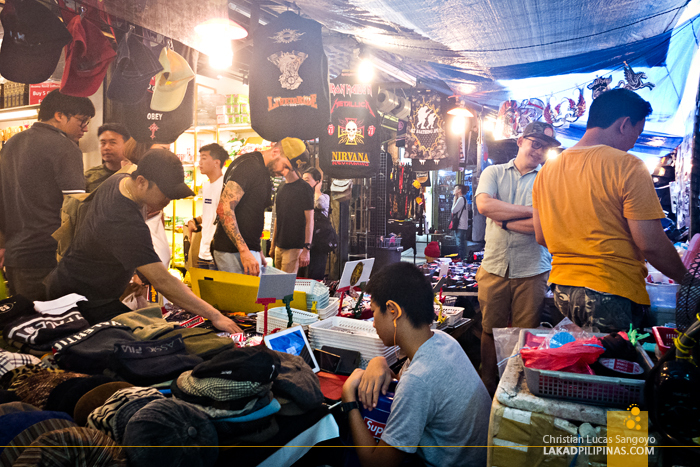 Chatuchak Weekend Market is huge. We were totally unprepared for the number of shops and the variety of things you can buy here. We literally got lost inside its sprawling grounds! What I really like about it, besides having cheap prices and unlimited wares, is that there’s a method to its madness. There are actually sections in the market where to buy things; mens shirts here, boutique stuff there, homewares here, toys there. I absolutely love it! Before visiting, make sure you have a big bag with you, preferably with rollers or wheels, plus a whole day of nothing but shopping. Even then, I doubt you can even cover the whole market. Hahaha, now that I have read your post I am now okay to visit Thailand, Bangkok in particular. I'm not into shopping malls, but open air markets like this like a bazaar I'm so attracted to them. Thanks. Lots of treasures to find there!! !